Gaza : Palestinian Islamist group Hamas, which controls the Gaza strip, has announced it will gradually halt the launch of incendiary kites and balloons towards Israel, the media reported. The kites, some of which Israel says are also booby-trapped with explosives, have wreaked havoc in the Israeli communities surrounding the Gaza Strip since the phenomenon began in April, sparking fires that have scorched thousands of acres and caused vast damage. 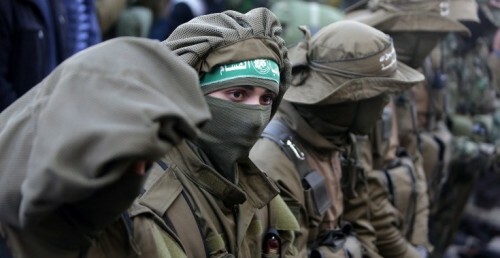 Hamas made the announcement on Tuesday, according to Efe news. Reports said that the group leadership decided to take action against the flaming kites "to prevent dragging Gaza into a war". An agreement was reached after talks between Egypt and the UN Special Coordinator (UNSCO) for the Middle East Peace Process, Nickolay Mladenov, as he mediates with the Palestinians. According to the UNSCO website, the Bulgarian diplomat appealed to the Palestinians to pull back from "the brink of a confrontation" and to "give peace a chance". Multiple parties including Egypt also told Hamas that the kites must be stopped "to prevent giving Israel an excuse to launch a major military offensive". Hamas has now deployed its security members along the Israeli-Gazan border to deter the launch of further incendiary objects. The launch of incendiary flying objects began on March 30 coinciding with the Palestinian Great March of Return on its Gazan border with Israel, under Israeli blockade since 2007. Palestinian kites and balloons have caused over 700 fires on Israeli soil and damaged Israeli farmlands. Last weekend tensions in Gaza rose after the launch of 200 rockets, the biggest escalation since 2014, followed by Israeli forces reprisal operations and bombings targeting Hamas military objectives in Gaza, which killed two Palestinian minors. The Israeli Defence Ministry has tightened its Gaza fishing waters restrictions from six to three nautical miles and maintains the closure of the Kerem Shalom border crossing, the only passage authorized for freight trucks carrying goods from Israel or Egypt to the Gaza Strip.